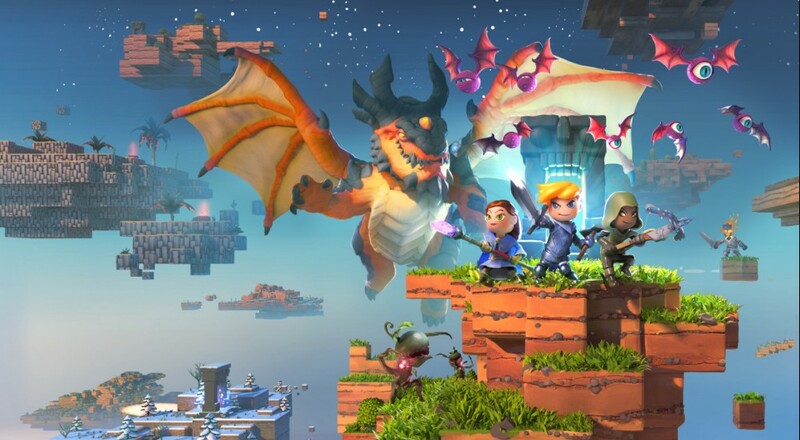 Last night the crew checked out Portal Knights, a new game from publisher 505 Games which expands on the ever popular "crafting" genre of games. But Portal Knights does a lot to be different. While you still need to mine and gather raw resource to craft critical items, an RPG element overlaps the entire game giving you and your friends a purpose within the world itself. Portal Knights hit early access this week and so far, things are looking pretty solid. You can create one of three character classes and jump into a randomized world with up to three additional friends. Each level has you collecting pieces to rebuild a portal and progress to the next map. The game features bright and colorful graphics while still having a hint of those Minecraft voxels, with each world featuring a different theme like desert, mines, or lush grass. Here's our first hour with the game where we get our character up to level 5 (of about 30 levels), unlock some skills, build a house, and of course plant a proper garden just for Locke. Portal Knights is out now in Early Access for $15, currently on sale for $12.